Greetings students and families of the Class of 2019! 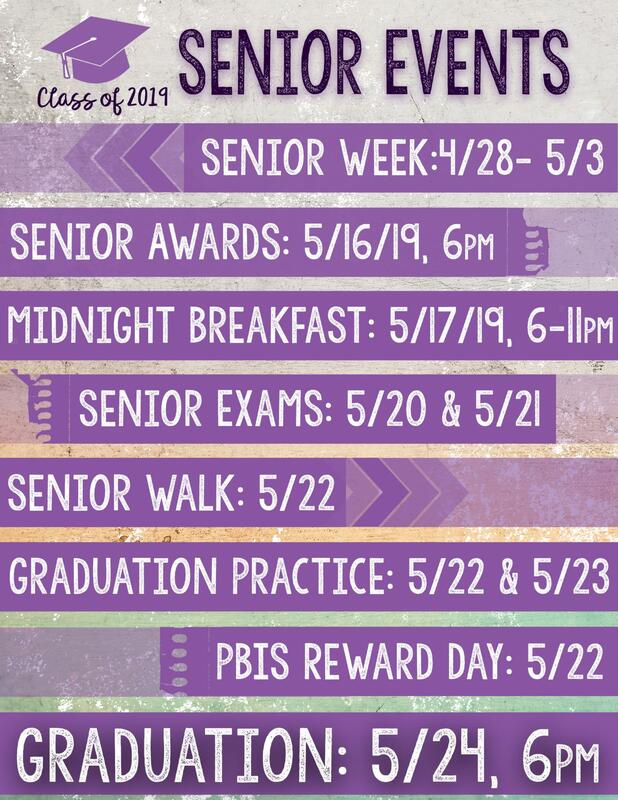 For complete information, including all important dates and events, please see the 2019 Senior Information Packet (link will be psoted soon) and check the MAHS Events Calendar. Wednesday, May 22 and Thursday, May 23 (MANDATORY) 7:15 am - Be on time. If you are late you will be on clean up duty! Parent(s) work in the County? Memory boards are a wonderful way to capture your school days. Your opportunity to create a way to display memories. It is suggested that you use copies of pictures instead of the original ones. They will go on display starting May 2nd and will be returned to the graduate during graduation practice. (*****Only half size posters will go up) email Ms. Ava Brooks at ava.brooks@walton.k12.ga.us if you have questions. Have Family/Friends/Classmates write letters to you. Letters must be in a sealed standard size envelope, have the students first and last name printed on the front. Letters will be given to the graduate during graduation practice. 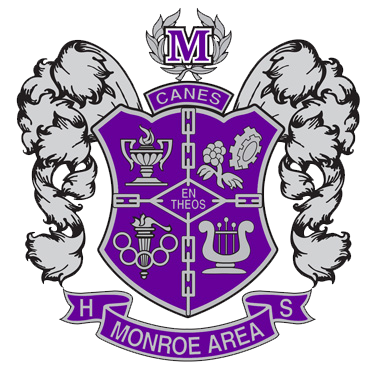 Letters need to be brought to the main office or mailed to MAHS by May 16th. Please only cards and letters, no gifts or other items. Questions about Senior Pictures? Call Prestige at 770-485-2117. All questions regarding the purchase of materials from Balfour are handled by that company. They can be emailed at (scholasticimages@gabalfour.com) or by phone at 770-614-9353. No one from MAHS handles any money or makes financial arrangements for any product sold by Balfour. You may order senior material by going to www.gabalfour.com. All financial obligations must be cleared before participating in graduation. This includes, but is not limited to $125 Senior Dues (see information below), any materials on the Holds List and returning textbooks. ALL seniors are to report to the RED HALL by 4:45 pm. SENIORS AND FACULTY ONLY will be allowed on the red hall. Room assignments will be posted beside the doors. DO NOT bring personal items, keys, etc. to the red hall as you will not be allowed to go back to the red hall after the ceremony. We will line up at 5:45 pm SHARP and graduation will begin exactly at 6:00 pm. Diplomas may be picked up at the field house after the ceremony unless it has been pulled due to inappropriate behavior. This attire is required any time the cap and gown are worn except for the group picture. This dress code will be checked at the time of the students arrival on graduation night. Any senior not complying with the dress code could/will be pulled from the line. NO EXCEPTIONS.